Chiggers are mites: tiny insects about 1/50th of an inch long. They're nearly invisible except, as occasionally happens, they cluster together on your skin. They are red in color; juveniles have six legs, and adults have eight. Seen under a magnifying glass, they look something like tiny red spiders. Chiggers love moist grassy areas, including lawns and fields. They are transferred to human beings through contact with grass, brush, and vegetation. Chiggers don't carry disease, but they can cause severe itching. Chigger mites go through four life stages: eggs, larvae, nymphs, and adults. Only the larvae are parasitic, which is why they are so tiny and hard to see. Chiggers lay their eggs on the soil, and when the eggs hatch in warm weather, the larvae move around on the ground and low-lying vegetation until they find a host—that is, an animal on which to feed. Most interaction with humans starts with feet, legs, or arms that brush against vegetation. Unlike mosquitoes, which bite where they land, chiggers may move around the skin to find a good place to eat. Belts and tight clothing prevent them from moving further, so chigger bites are often found around the waist or near elastic waistbands. Other favorite locations are spots where the skin is thin: near the groin, behind the knees, or in the armpits. Unlike ticks and mosquitoes, chiggers do not carry disease, which means that contact with them isn't dangerous per se. Unfortunately, however, chigger bites are incredibly itchy. Even worse, chiggers usually move in large groups, so it's unlikely you'll experience just a single chigger bite. 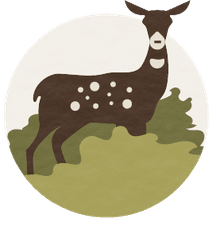 Assuming you walk outdoors during the warmer months of the year—late spring, summer, and early fall—it's difficult to completely avoid the risk of chigger bites. You can, however, minimize risk by following these tips. 1. Use an insect repellent containing DEET on both skin and clothing. Apply DEET liberally to your shoes, socks, and pant legs. Treat your waist area and shirt if you'll be in tall vegetation. Carefully apply the repellent by hand to your face, neck, and ears; you don't want DEET in your eyes or mouth. Adults should apply DEET products to young children. You may need to reapply DEET after several hours. Note: DEET is not the same formulation as DDT, and it is safe to apply directly on the skin when used as directed. It is important, however, to wash hands and avoid the use of DEET on the face. 2. 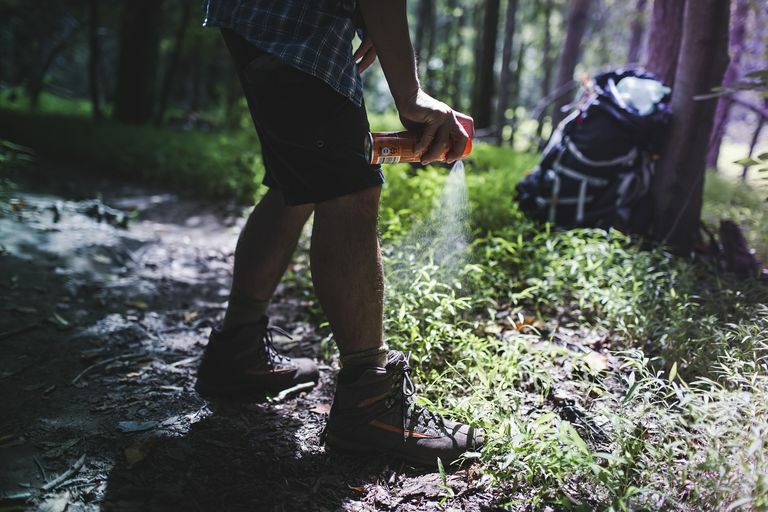 Apply permethrin to clothing, hiking boots, and your backpack. Permethrin products should never be used directly on the skin, but they remain effective on clothing through several washings. Permethrin is sold under the names Permanone and Duranon. Alternatively, outfit yourself in bug repellent apparel. Ex-Officio sells a line of clothing that is pretreated with permethrin. The treatment lasts through up to 70 washings. Permethrin is generally safe to use, but some people are allergic. If you're not sure, test a small area of skin before using permethrin-treated clothing. 3. Wear long pants with sneakers or hiking boots. 4. Choose tightly woven fabrics for working or walking in chigger-prone areas. Because chiggers are so tiny, they can actually work their way through your clothing to get to your skin. If you know you'll be exposed to chiggers while outdoors, wear the tightest woven fabrics you can find. The smaller the space between threads, the harder it will be for chiggers to penetrate your clothes and bite you. 6. Stay on the trail. Chiggers hang out in vegetation, waiting for a passing host. When your leg brushes the vegetation, the chigger transfers to your body. Walk on designated trails and avoid blazing your own through meadows or other high vegetation areas. You'll avoid chiggers and leave a minimal impact on the wild places we love. In some places, chiggers may be too abundant to avoid, even with the best repellents and long pants. If an area looks like prime chigger habitat, avoid it. If you think you may have chiggers in your yard, do a sampling test to find out. 8. If you see chiggers on your body, wash them off immediately. 9. Wash any chigger-infested clothing in hot, soapy water. If you've picked up chiggers while hiking or working in the yard (or even suspect you've attracted chiggers), strip down quickly and put all of your clothing in the wash. Launder the clothing in hot, soapy water. Don't wear that clothing again until it has been washed and dried. 10. Eliminate chigger habitat in your yard. Chiggers live in moist, shady areas with thick vegetation. You can effectively eliminate almost all chiggers in your yard by simply minimizing such habitat from your landscape. If that's not possible, of course, it's best to stay out of thickly vegetated areas.